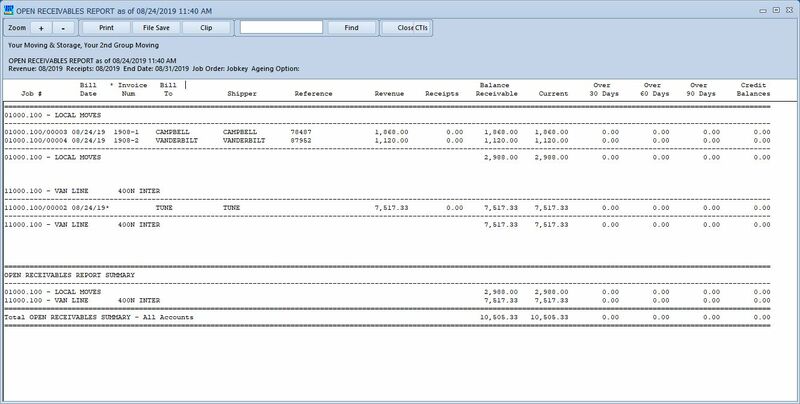 The open receivables report shows current aging, with options for prior periods, aging by invoice or revenue dates, itemized or summary detail, and various sorting options. 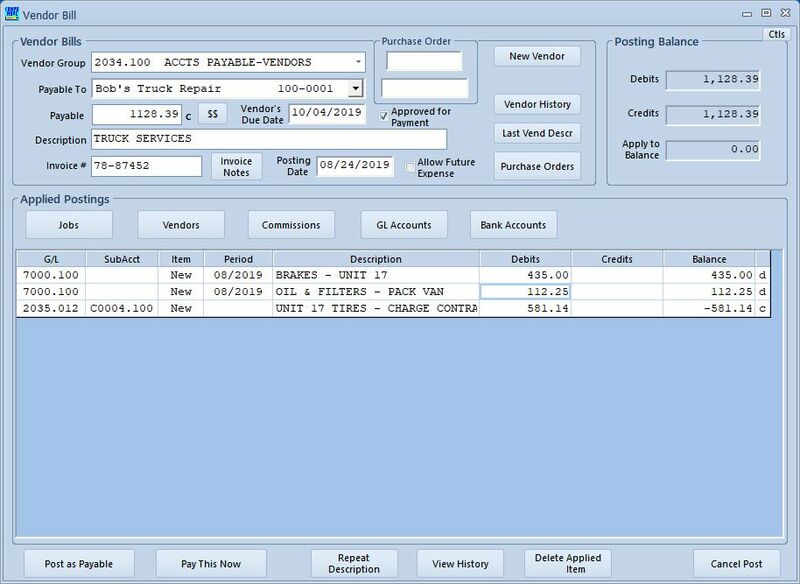 The receipts screen easily processes simple job receipts, or handles more complex job payment situations including van line reconciliation or national account settlements. Multiple jobs can be selected for settlement. 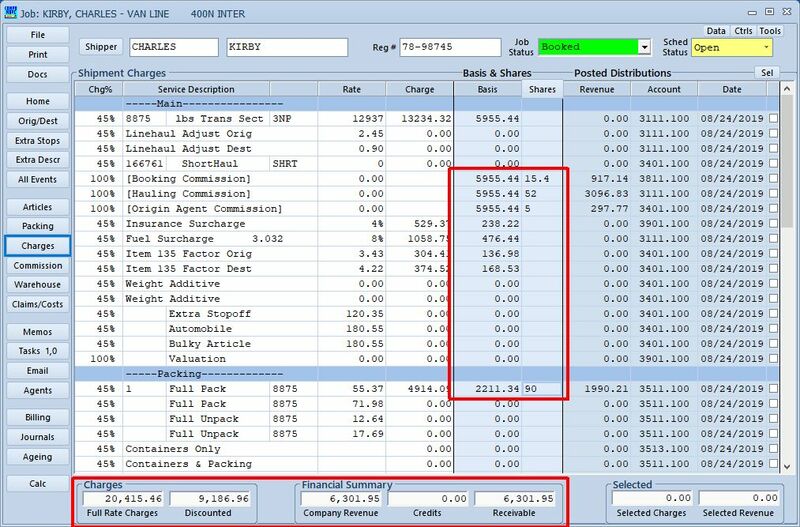 Chargebacks or other expenses can also be included in the total receipt entry. 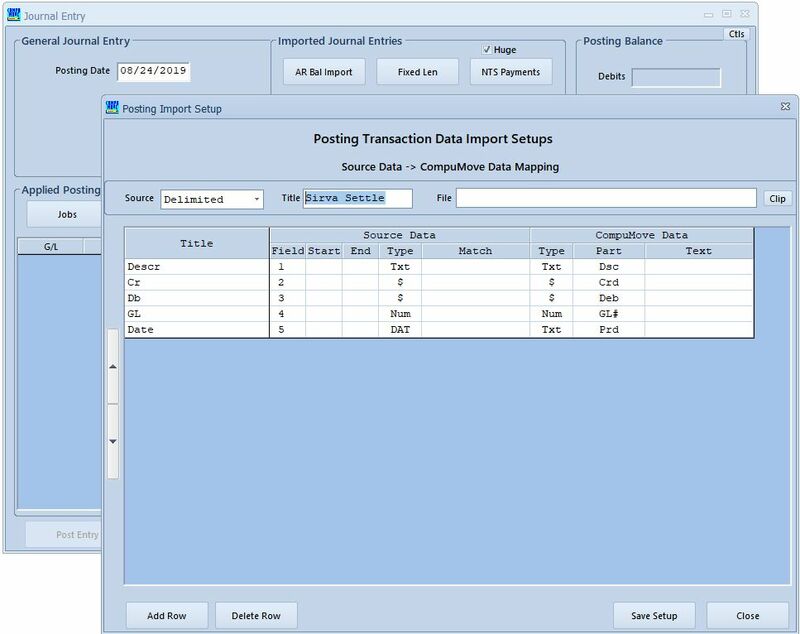 The data import functions allow the fast, accurate importation of settlement files, including major carriers and trading partners or government agencies. 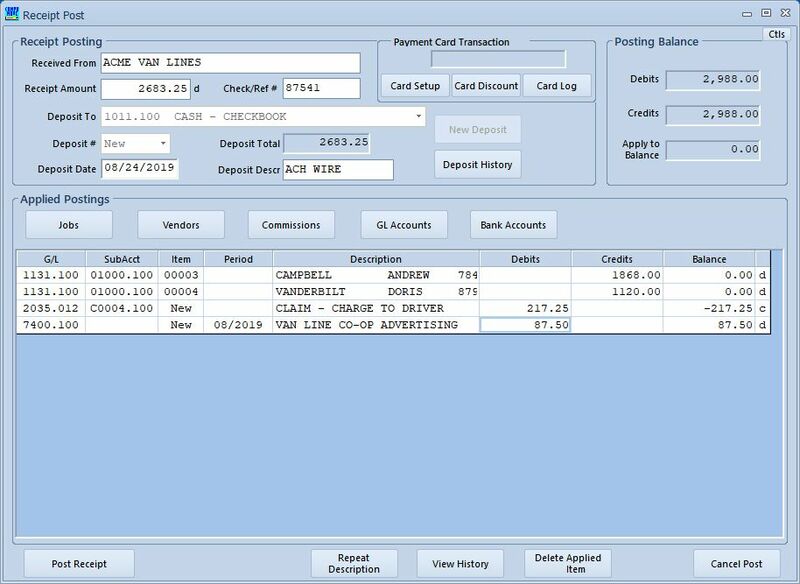 The purchases system creates open payable items, and allows distribution of expenses to different accounts and/or periods, including passing costs through to contractors or agents. 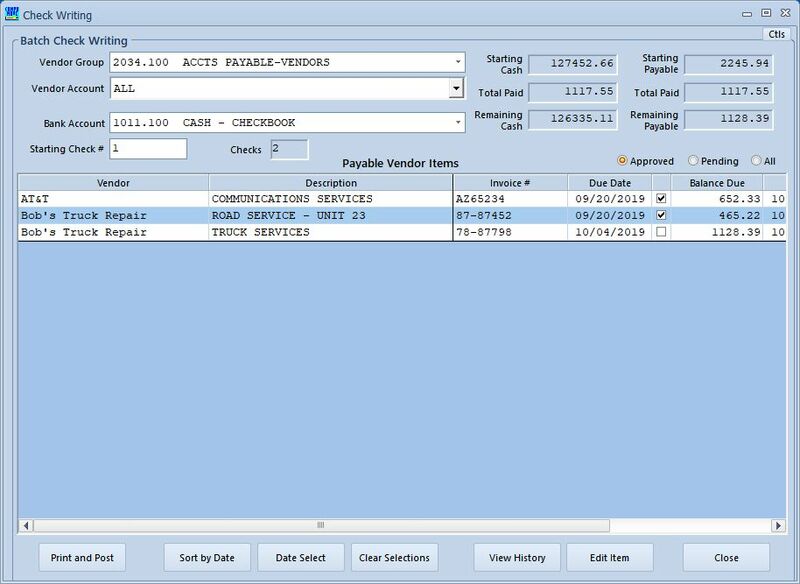 The open payables report details current payables, allowing grouping and subtotals by vendor, and various sort and detail options. The disbursements module handles settlements to both vendors and commission contractors, offering both ‘pay this now’, batch and single check print modes to guarantee speed and accuracy.